Mohamed Morsi is an Egyptian politician who served as the fifth President of Egypt, from 30 June 2012 to 3 July 2013. 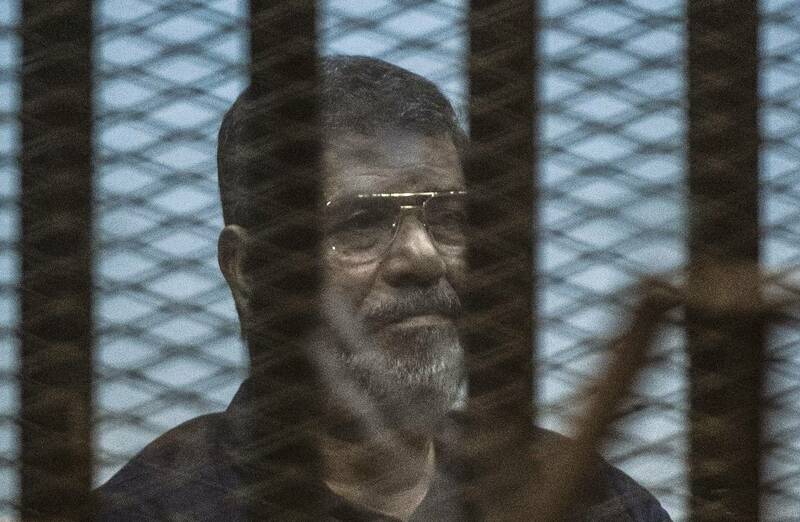 An Egyptian court confirmed a 20-year prison sentence against former president Mohamed Mursi on Saturday, judicial sources told Reuters. The sentence was for a conviction arising from the killings of protesters during demonstrations in 2012. It is the first of Mursi’s four convictions to reach the end of the judicial process, and he cannot appeal further against it. Twenty-year jail sentences were also confirmed against other senior figures from the then-ruling Muslim Brotherhood, including Mohamed el-Beltagy and Essam el-Erian. The men were convicted in April 2015 on charges including kidnapping, torture and the killings of protesters during unrest in 2012. The Muslim Brotherhood denies responsibility and says that most of those killed were from its own ranks, reports Reuters. Mursi has been sentenced in three other cases, including a death penalty for a mass jailbreak of Muslim Brotherhood prisoners during the 2011 uprising against longtime president Hosni Mubarak and a life sentence for spying on behalf of the Palestinian group Hamas. The Islamist Mursi became Egypt’s first freely elected president in June 2012. An army takeover stripped Mursi of power in 2013 following mass protests against his rule. Hundreds of Islamists have since been killed and thousands arrested.